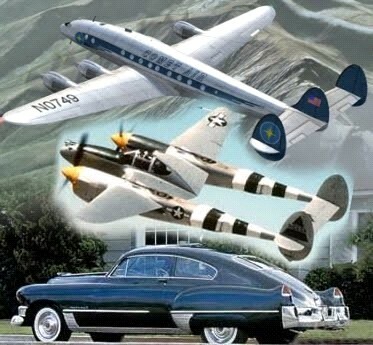 The Fifties … a simple phrase which evokes nostalgia and reminiscences of what we think was a simpler time. But was it? Maybe … maybe not. The Fifties … a world in Technicolor, bright red lips and glaring blond hair on stars filling movie screens in Vista Vision and Cinemascope. But as I think back to that time when we baby boomers were dropping onto the planet as fast as raindrops from an East Texas thunderstorm, my thoughts go to the automobiles of the decade. 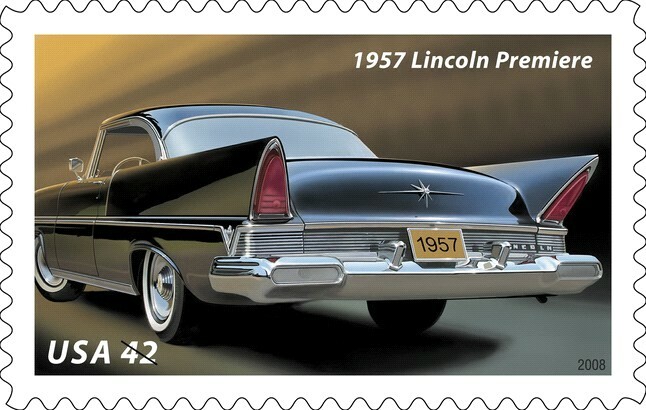 Cars defined us then as each year brought out new models and new designs. No, it was not like today when all autos look alike to some degree. No, not like today when radical design changes are few and far between. 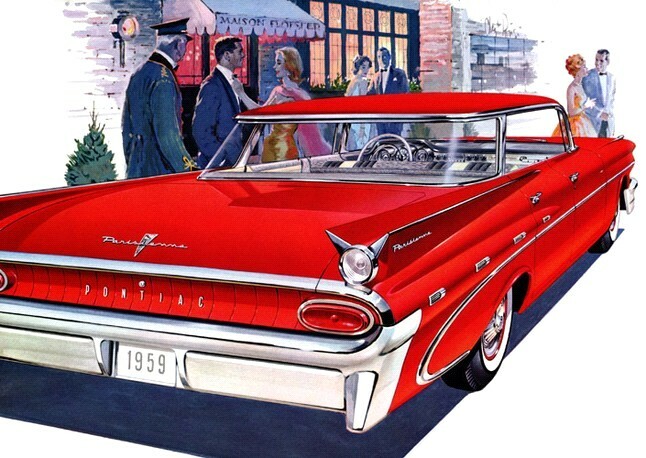 Back in The Fifties, auto manufacturers had to keep up with the demands and the peculiarities of the post war populace and their perceived desire for the new and modern and innovative. Cars above all exemplified this attitude. Somewhere along the way, I started an ever growing collection of little toy cars - which by the way, I wish I still had. Give me my cars and a pile of dirt and I could entertain myself for hours. I became obsessed with cars and knew every make and model. My dad and I went every new season to view the new models. I collected every brochure from every dealership. How many hours I spent pouring over those brochures. It’s amazing that I didn’t become a car salesman. I never wanted to work on cars and didn’t care about the engines … I liked the looks, the designs. 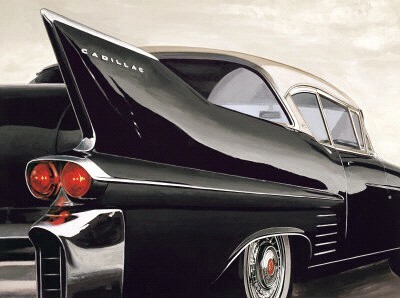 From our first glimpses most visible in the early Cadillac models of the decade, US automakers kept going to greater heights designing cars with tail fins until we ended in 1959 … the year of the ridiculous and the sublime. 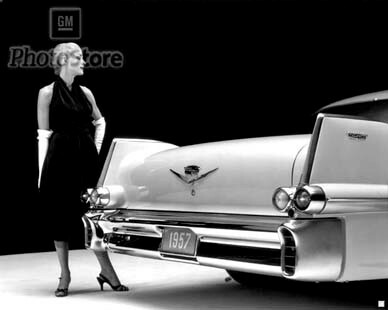 We see our first glimpse of what is to come in the 1948 Cadillac. It didn't change much through 1956 - until we witnessed the explosion of the fin in 1957. 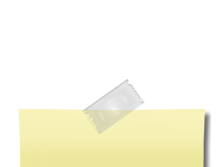 Even Ford got in the game, but abandoned "the fin" phenomena soon after. Meanwhile Chrysler was not about to be left out in the cold. 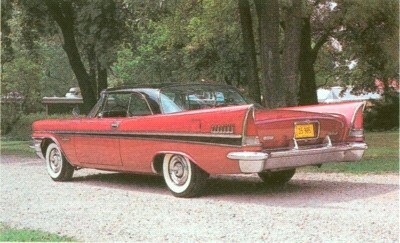 The 1957 Chrysler's tail fin was a sleek and graceful sweep toward large taillights. 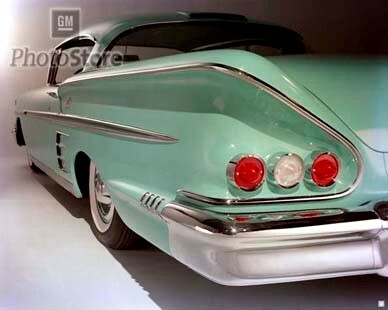 The quintessential and classic fin came about when General Motors introduced the 1957 Chevrolet. Today it remains the iconic image of the times. 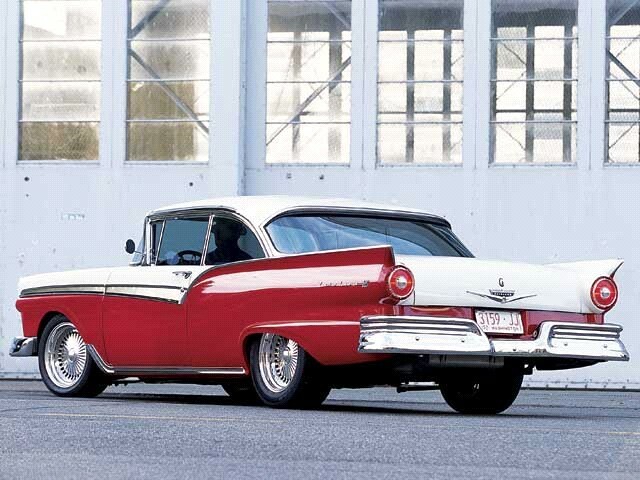 The '57 Chevy is a classic. Clean lines and perfectly proportioned. 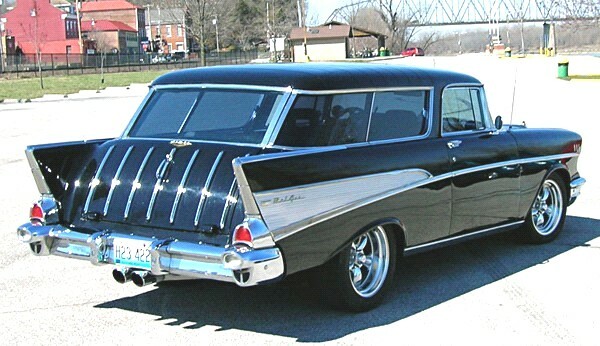 Has a station wagon ever looked sporty? The Nomad did! 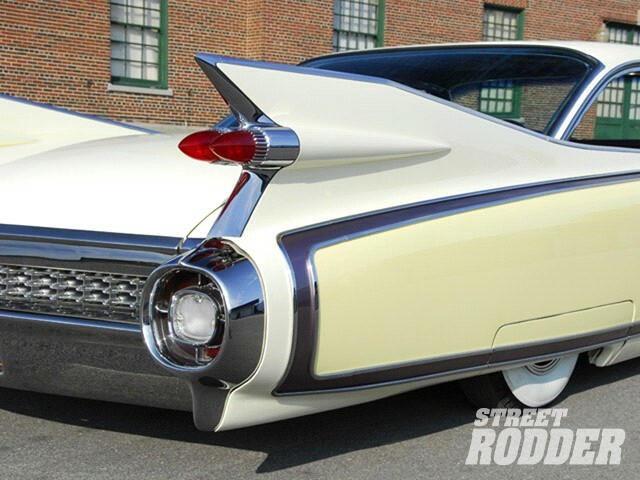 Cadillac put a new twist on the fin with its reverse fin on its '57 models. 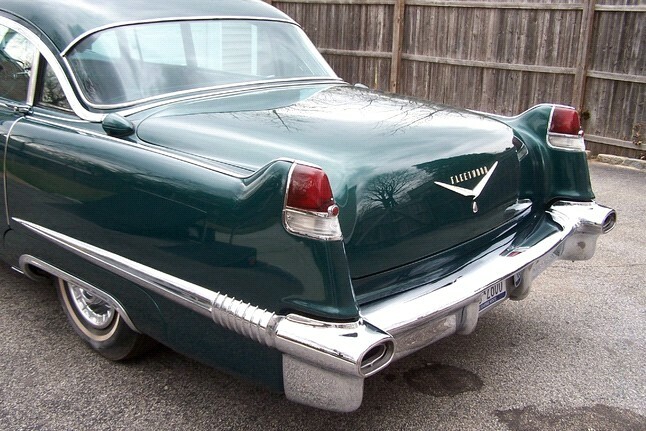 The '57 Cadillac Eldorado Biarritz had it's own unique fins, which carried over into the full sized '58 4-door models where it was integrated into the rear fenders. 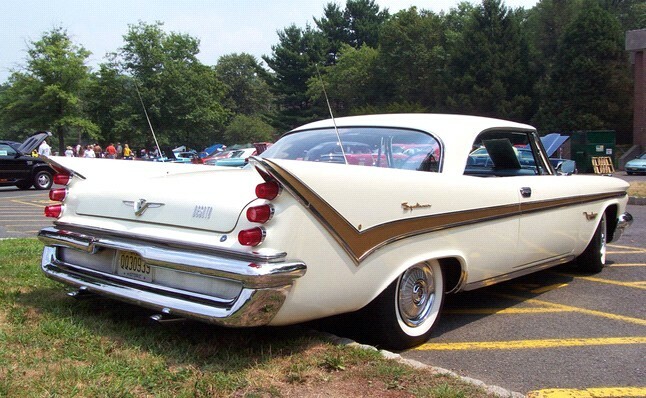 For the '58 model year Chevrolet adopted a soft curvelinear fin. 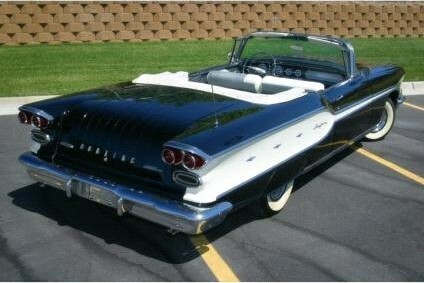 Buicks, Oldsmobiles, and Pontiacs were built like tanks and looked like them too. But no tank every had that much major chrome work. 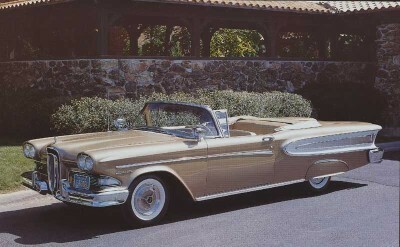 Although fins would appear through the 1961 model year and fade as the 60s progressed, the ultimate year had to be 1959. Take a look and a scroll down Memory Lane ! 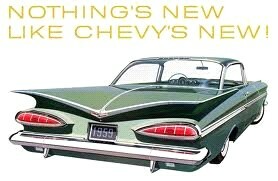 Chevy adopted an "eyebrow" look for 1959. 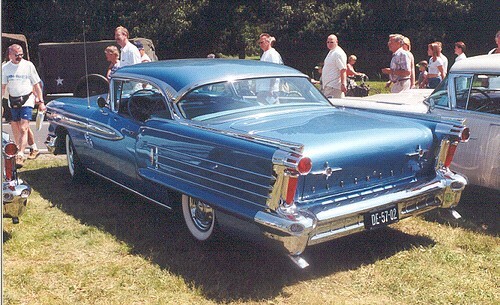 The Chrysler Imperial in 1955 decided, for some reason, to mount taillights on the rear deck. 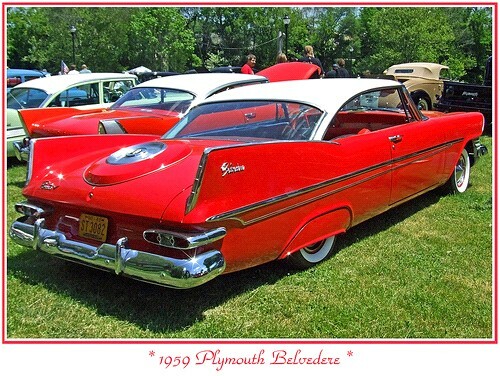 It became a trademark feature through several model years and was incorporated into the fin design beginning in 1957 and streamlined in 1959. 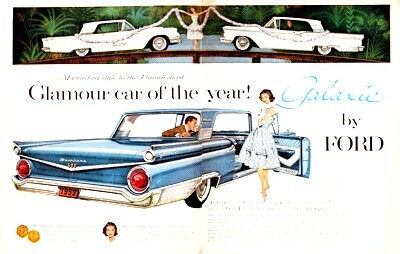 Although Ford was not in the fin business, they did not stay out of the limelight in 1959. Their offering was boxy sans any fin save for a tubular projectile on the rear deck. Ford relied on words in 1959 with a press release. Ford announced the honor of an award for exceptional styling for its 1959 Fords at the Brussels World's Fair from the Comite’ Francais des L’ elegance for the all–together new 1959 Fords, the world’s most beautifully proportioned cars. And if it reads like an advertisement, that's because it is. Of course, all press releases are in a manner of speaking advertising. But this one is a bit more clever than that. In fact, it's awfully clever. Do you know why? The truth of the matter is: the award was phony. The whole thing was an advertising scheme dreamed up by Ford and its advertising agency to take advantage of the activities and interest surrounding the World's Fair. There was no such award, and beyond the marketing campaign, no award given. A reason to cry foul? No, not really. 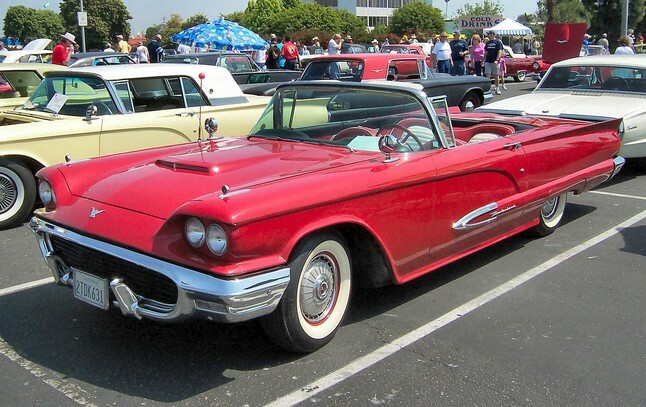 The 1959 Ford automobiles rank pretty high up on most people's lists of the best looking Fords. 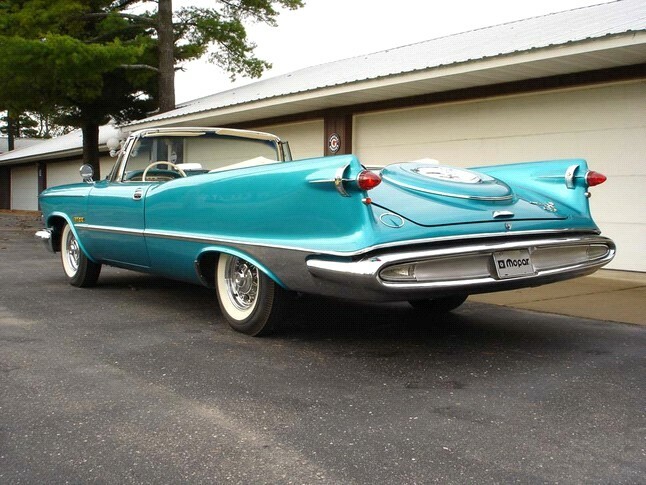 It was a landmark design when you consider the huge tail fins and other questionable styling traits of many other 1959 models. In a year when most think the stylists' must have taken leave of their senses, Ford cars were rather restrained. Certainly they were fashionable. And very much in keeping with the design trends of the time. 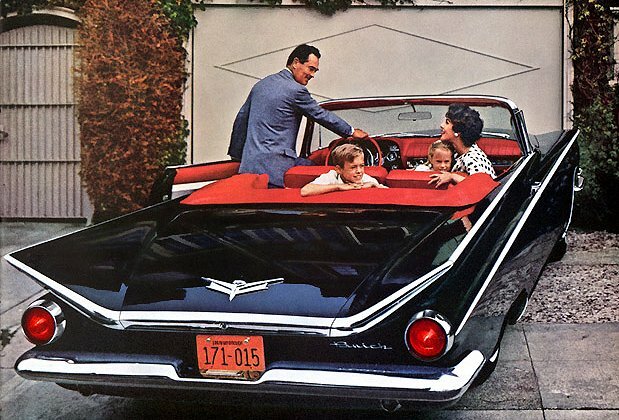 So while Cadillac models looked like they were about to blast off to another planet from behind, and Buicks had a strangely sinister look when they were coming at you from the other direction, and the rear of a Chevrolet looked like something from The Flying Nun, Ford very smartly capitalized on the new styling of its Thunderbird, which was a sensation all across the country at the time. 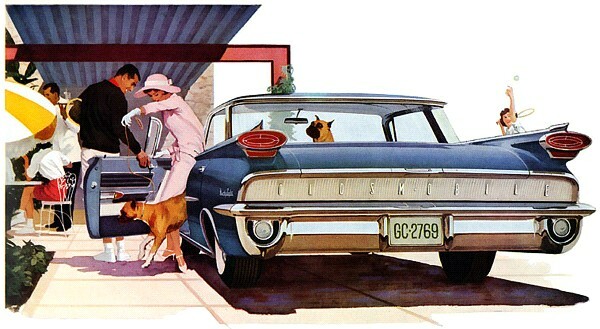 In fact, the Thunderbird was featured heavily in advertising for other Ford cars at the time - and the fin was back! 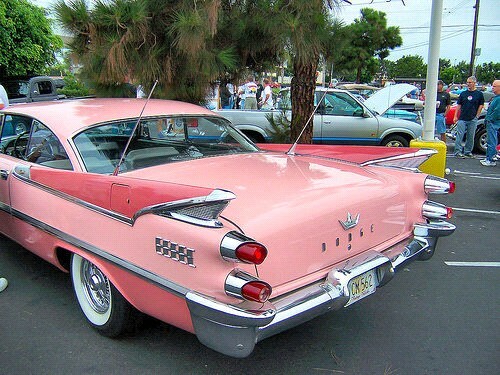 General Motors reached the apex in fin design with the introduction of the 1959 Cadillac. Never before and certainly never since have we seen this degree of spectacular ... and the ridiculous. First of all, why did anyone need to drive a car that was 18.75 feet in length? 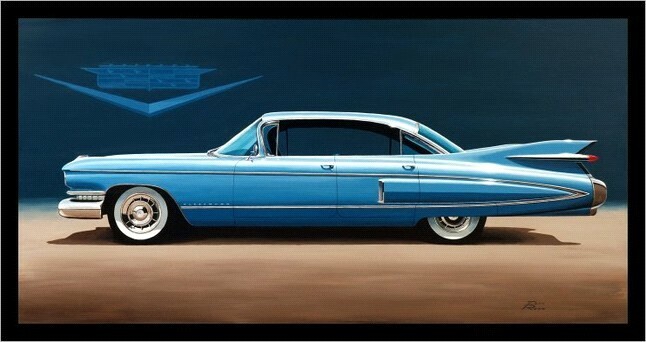 The '59 Caddy looked like a float in The Rose Parade. All it needed was the Apache Belles preceding it as it floated down the street. The highway was first opened in 1926, although much of the route was not paved for decades afterwards. It soon captured America's imagination. John Steinbeck, in his 1940 novel Grapes of Wrath, chronicled the migration along Route 66 of thousands of farmers leaving the Dust Bowl of Kansas and Oklahoma during the Great Depression, trying to reach a better land in California. Steinbeck posited the road as an almost hostile force, draining money, energy, and enthusiasm from the optimistic Okies. Later representations of the road were a little more upbeat. Probably most famous is musician Bobby Troup's eponymous tribute song, which enjoined listeners to "get their kicks on Route 66". 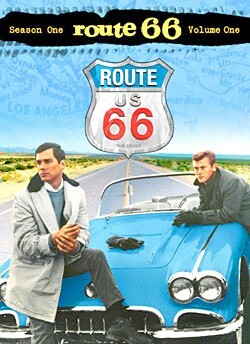 A TV show in the 1960s, also called "Route 66", featured two young men exploring America's highways. Although Jack Kerouac only mentions 66 briefly in his book On the Road, it acquired something of the aura of Beatnik cross-country driving. In the 1980s, the aging highway was decommissioned. Much of its stretch had been overlaid or routed around by broader, newer interstate highways. 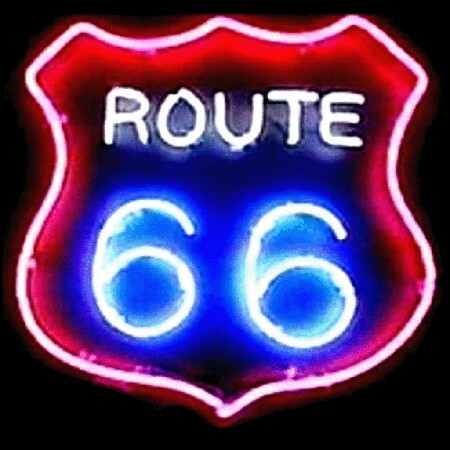 But the embedded idea of Route 66 refuses to die – as demonstrated by the 2006 Disney/Pixar movie Cars – and thousands of kicks-seekers continue to follow the remnants of the road from Chicago to Los Angeles to this day. Many Towns, such as Strafford, Missouri have festivals ((Route 66 Days)) and Motor Cruises ((Route 66 Cruise)) each year which keep the history alive, along with providing excellent opportunities for enthusiasts to drive the existing road. 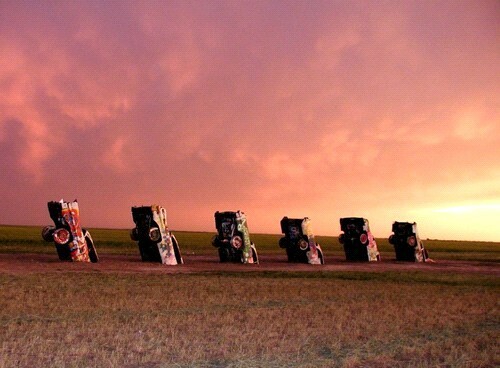 Cadillac Ranch is a public art installation and sculpture in Amarillo, Texas, U.S. 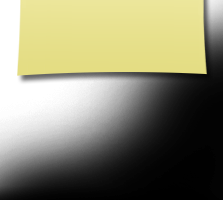 It was created in 1974 by Chip Lord, Hudson Marquez and Doug Michels, who were a part of the art group Ant Farm, and it consists of what were (when originally installed during 1974) either older running used or junk Cadillac automobiles, representing a number of evolutions of the car line (most notably the birth and death of the defining feature of early Cadillacs - the tail fin) from 1949 to 1963, half-buried nose-first in the ground, at an angle corresponding to that of the Great Pyramid of Giza in Egypt. The piece is a statement about the paradoxical simultaneous American fascinations with both a "sense of place" — and roadside attractions, such as The Ranch itself — and the mobility and freedom of the automobile. 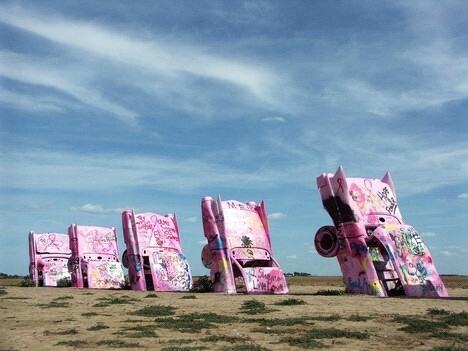 Who would have thought that burying ten old Cadillacs in an Amarillo dirt farm in 1974 would make such an indelible mark on Texas roadside attraction maps? The product of helium millionaire Stanley Marsh 3’s eccentric mind, Cadillac Ranch was designed with a California-based artist collective called Ant Farm as an homage to the Golden Age of American Automobiles (1949-1963) and to the historic Route 66 which passes by Marshs’ palatious West Texas ranch.